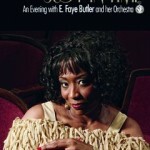 E. Faye Butler - Call on Dolly! 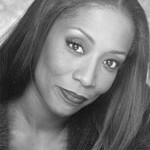 First and foremost, when E. Faye Butler was approached to play Dolly Levi in Hello, Dollyin 1990, there hadn’t been too many opportunities for African-American women to lead a cast in the Chicago Theater scene, especially in musicals. When they approached E. Faye about this, she was very excited. It was Dolly! It wasn’t something that would be traditionally done so she was excited by it. David Dillon and Marc Robin, who co-directed, contacted E. Faye to tell her they wanted her. David also happened to be an acquaintance with Jerry Herman. Jerry and David had known one another for quite a few years and had worked on a benefit together in Chicago in 1987. David worked closely with Jerry even getting him to reinstate one of Merman’s cut songs, Love, Look in my Window. Johnny Lazar, who produced the show, had never spent the kind of money that was spent on this production on any prior production. E. Faye even forwent part of her salary because she believed in this show so much. Most of the chorus was making more money than E. Faye! One of the things she desired was authentic costumes and she really wanted to make sure that they had a staircase. The Drury Lane Dinner Theater is in the round. They had to take one of the sections of the theater out in order to build the stairway. They had never done that before. It cost a lot of money taking out an entire section. That is where E. Faye’s salary went, that and the costumes. 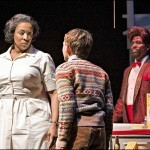 E. Faye Butler, Matthew Demtrides, and Milton Craig Nealy in CENTERSTAGE's production of Tony Kushner and Jeanine Tesori's Caroline, or Change, directed by David Schweizer. Photo © Richard Anderson. 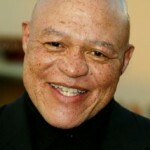 John Beasley, who played Vandergelder, had done a lot of film and television. E. Faye loved working with Beasley. He was cantankerous as Horace. He was strong and wise and he is such a great actor. He was open to the process. He wasn’t a great singer and E. Faye loved that about him. He came with such a strong acting background. He gave her a lot to work with. Again, that helped her heavily as she dug deeper into the script. The text came alive a lot stronger with Beasley at the helm. David Dillon had great instincts on the show. He was the one who connected E. Faye with The Matchmaker. He suggested she go back and read it, think about it, and bring some of that text forward to Hello, Dolly. He desired her to look at the heart of Dolly. He didn’t want to do just another retelling of Dolly. That’s why he went back to Jerry Herman. David always felt that there was a hole in the show when Dolly “jumps” from talking to Ephraim to Before the Parade Passes By. Adding Love, Look in my Windowconnected a lot with E. Faye as well as the audience. Marc Robin, who also choreographed in addition to co-directing, made a beautiful pas de deux reminiscent of what Dolly and Ephraim may have done as kids. There were many beautiful pictures that the two directors created. 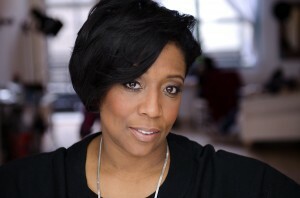 E. Faye Butler was the reason for the show instead of the other way around. They built the show around her. At the time, this was E. Faye’s first leading lady part. When they were sitting around the table, in the early stages of production, E. Faye wanted a multi-cultural cast. It wasn’t important to E. Faye that this be an African-American company. She wanted it to be representative of an American city and town. Marc and David put together a really good multi-cultural cast. She didn’t want Horace to be European-American. It was important that Horace and Dolly be of the same race as to not confuse the audience. Once that was in place, they started to work on the material. David said to E. Faye that he had been taking to Jerry Herman and that there were two songs that were not used in Dolly outside of Merman’s run. Jerry was willing to allow this production to use one of those songs. They went off of the old Merman 45. Jerry said he didn’t have the charts for that song readily available, but since David had the Merman recording, he just asked that they copy what was there. Jerry asked that they transcribe the songs and to record them with E. Faye singing them and to send back to him so he could OK it. The song they reinstated was Love, Look in my Window. That song goes before the Ephraim, let me go…speech. After the speech is Before the Parade Passes By. E. Faye would LOVE to revisit Dolly. If she was to do it again, she would go even deeper into the text. So many times, people go for the comedy of Dolly and not necessarily the heart. E. Faye did go back to The Matchmaker as part of her preparation. E.Faye did see Carol Channing play Dolly in her last tour in 1994. After knowing the story of Dolly and the additional songs that were originally written for Merman, E. Faye somewhat missed the text with Channing. She felt the meat of who Dolly Levi is from The Matchmaker was missing. She feels there is much more there than a lot of people really look at. Dolly is such a strong woman of her time doing what she is doing, making a way for her with such a strong spirit. She loves and she wants love and she needs love. Sometimes that doesn’t come through for Dolly. E. Faye also saw Florence Lacy play the role. She loved her, thought she did a lovely Dolly. It was a different take on Dolly completely, but totally Flo. That is the best thing about Dolly. You have to have a part of yourself in that character in order to do a good Dolly. That’s what it is. You have to be vulnerable in order to share a part of yourself with an audience. E. Faye has only seen one Dolly who missed the mark. It was Edie Adams at the Bucks County Playhouse in Bucks County, Pennsylvania. It was like an “instant cake mix Dolly…or microwave Dolly.” It was if someone took her out, thawed her, put her in a costume, put in the microwave, turned her on, and put her on the stage. E. Faye just didn’t get it. There was no comedy there. E. Faye loves Jerry Herman. Jerry is a sweetheart. She has been very fortunate to do a couple of celebrations in which he was honored. Once at the Helen Hayes Awards, E. Faye was chosen to do some of his music. Jerry is a loving, kind man. E. Faye had the honor of Jerry sharing songs with her. She likes him because he is straight forward. She loves that he fights for what he believes in. She cannot say enough about him. She thinks that it’s wonderful that this man has such a love of music. He has been blessed with such an amazing talent. He is still doing it. 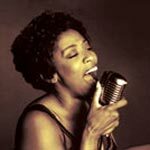 E. Faye first fell in love with Dolly when she started taking apart the Ephraim, let me go…speech in rehearsal. She really looked at it and then went back to The Matchmaker. She knew that Dolly was a warm, loving, caring person who wants so much out of life. She has lost her soul mate in Ephraim. The first time that E. Faye heard the entire score to Dolly was when she was in college. Prior to that, she only knew the title song due to frequent radio play. Ribbons down My Back was the first song from the score that took E. Faye’s breath away. She was searching for an audition song. That was a song that spoke to her. As she began to listen to the entire score, she said to herself that this was really a beautiful show. There is a lot of beautiful music in the score that she had not heard prior to her exploration. She thought the patter songs were quite funny. The Drury Lane Dinner Theater, now a Walmart, was on the south side of Chicago. On the second performance a heckler of the worst kind appeared at the theater. E. Faye was filled with such joy and love because they had such an amazing cast. The theater had gone out of their way to make this the perfect production. It was E. Faye’s first leading lady role in a role that is not traditionally portrayed by an African-American. She comes down the aisle at the top of the show, passing out Dolly’s business cards. When she entered on “Mrs. Dolly Levi”, a man in the center section of the theater stood up and shouted, “I didn’t pay my money to see a ni**er play Dolly!” That was a major realization for E. Faye, in a moment that was otherwise filled with immense joy. The producers had to pull him out of the theater as he wanted to continue that protest. He refused to sit down or leave. They had to forcibly remove him. The theater sat about eight hundred people. The entire cast froze on stage. E. Faye stood there with these cards in her hand contemplating her next move. If she stopped, she was dead. She knew that she had to keep forging ahead. Otherwise, she would give him power. She also had all these people standing on stage. She kept on going. As she forged ahead, he kept yelling over her. It was absolutely one of those moments in her life she will never forget. It was her worst moment with this show. There was never any feeling of race with this production until that man stood up. There was, however, a significant increase of African-American audiences for this production. That is a show that most African-Americans would not have gone to. It was amazing how many people saw the show and told E. Faye that they had seen Pearl Bailey do it. They thought the show was lovely and charming and they loved the music. It did introduce so many African-Americans in that community to theater at large as well as to Dolly. She still has African-American business owners who, eighteen years later, tell her that seeing her in Dolly was the first time that they went to see a live show. There is a Mrs. Harris in Chicago, who owns a restaurant, who still calls E. Faye “Dolly”. It doesn’t matter what show she does, Mrs. Harris says, “Dolly…” E.Faye simply responds with, “Yes ma’m” E. Faye doesn’t even think she knows her name. When she sees her walk through the door, it’s Dolly! On the back end of it, she knew she had something that most actresses playing Dolly had never had. She had a song that had rarely been done on stage. Jerry Herman didn’t give that song to Barbra Streisand. He didn’t give it to Pearl Bailey. He didn’t give it to Carol Channing. E. Faye was among the first to sing this outside of Ethel Merman. E. Faye brought a sensibility to the production that came as a result of being raised by strong women. Her father died when she was young. She had the strength of a lot of women who had to survive by themselves after tragedy and raised E.Faye with a strong sense of who she was. That’s who Dolly is. She has a strong sense of who she is. She still wants and needs love. She is just waiting for permission. E. Faye watched her mom do that. She sacrificed getting married again because she wanted to wait and make sure it was the right man at the right time and he was going to do the right thing. E. Faye pulled a lot from her mother and her grandmother. E. Faye’s grandmother just passed in March of this year (2012) at one hundred and two. E. Faye learned a lot about the period and how elegant it was, the way women held themselves, how to be a lady. Sometimes, unless you’re doing one of these productions, one tends to forget that. Just wearing a corset changes the whole feeling of what you do. E. Faye loves wearing a corset on stage. She thinks it gives you a whole different perspective of where you are and how you act. Putting on those buttoned up shoes and the skirts, two or three underskirts, with the jackets, with the gloves, with the hat and purse; you realize it wasn’t an easy life. It was all of those dynamics. E. Faye continued to tweak her performance after she opened. She said you can’t help but tweet. The more you are within that armor, the more you understand her. Dolly has armor about her. There is strength to Dolly. She has armor, but the lovely moments of this show is when she pulls the armor back. When she is teaching Cornelius and Barnaby to dance, it is just lovely. She is trying to match everyone up because that’s what she wants. The one thing that E. Faye learned from playing Dolly that she has carried forth in her life and career is to “go for what you desire. Don’t be afraid.” She has also learned not to be afraid to be vulnerable on stage. It is a very hard thing to do on stage. It serves you well. Audiences have loved Dolly over the years because of the music. It is recognizable. It is family oriented. We don’t have a lot of shows like that. It makes sense. It tells a great story. The title song is what Jerry Herman does best. He finds a theme. He finds the right phrase and he sticks to it. He does it with simplicity. Add to that Dolly in a red dress with an all male chorus. There is something about all men singing a song. It is strong and hard, especially after that amazing Waiter’s Gallop.You settle in your seat and celebrate the pageantry of it. Americans love pageantry. It’s like singing the Star Spangled Banner. Dolly is sacred to E. Faye. There is no “spin” on her. It’s akin to those that bastardize the Star Spangled Banner. We all know how it was written. For Faye, there is a gradual build up and the title song until you hit the stride of that rhythm. There is a heartbeat there that runs through that song. It starts to move. It then accelerates. It gets fuller and fuller and fills you with so much joy. David just told E. Faye to stay in her seat and have lots of fun. Don’t over think it. Stay in the moment and have lots and lots of fun. That first night that E. Faye appeared at the top of the stairs and the audience didn’t stop applauding, she knew this was going to be a great Dolly! She didn’t do anything but just appear there. It was that signature staircase and the guys standing at attention. It is the Waiter’s Gallop and everything building up to that moment. It is such a magical moment that when “Dolly” steps out from behind the curtains, and she stands at the top of those steps, and she feels the love of people of people who have seen and heard that number both on stage, film, and television, it lights your heart. Because of the success of this production, the theater then had cache. They could do any production they desired and get any actors they wanted. They now had production values. It was a credible show. E. Faye won a Joseph Jefferson Award, the first such honor for this theater. The Joseph Jefferson Awards Committee celebrates the vitality of Chicago area theatre by recognizing excellence through its recommendations, awards and honors. She won for Best Actress in a Musical for her portrayal of Dolly. It changed a lot of things for E. Faye AND the theater and for that area. She will always appreciate Drury Lane and Johnny Lazar for doing it. They took a gamble together and they won. Their closing night, they cried and cried and didn’t want it to end. It was historic for everyone because it was a multiracial company. Everyone cried as they watched the staircase come down. Her opening night gift for the company, she cooked Cornish hens, and beets, and potatoes for the entire company! She made thirty six Cornish hens! The entire company had a great love for one another. One funny moment happened during a “senior” matinee. They bus the audiences in from the senior citizen homes and assisted living facilities. They are great audiences. They know the show. Some were thinking they were seeing Pearl Bailey. It didn’t matter. 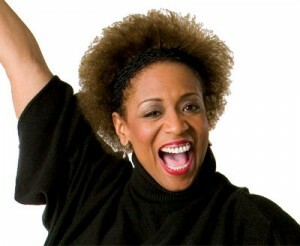 If given the chance, E. Faye would love to do Hello, Dolly once again even if she was playing Mrs. Rose. Mrs. Rose is an acquaintance from Dolly’s old neighborhood. Hello, Dolly gave E. Faye Butler the opportunity to wish, dream, and put in motion everything she always desired to do in this business as a stage actress. Dolly gave her the opportunity to think outside the box, to be brave, to go after what she wanted. Ephraim is essentially speaking to Dolly and asking her to let go, to go out there and LIVE. Dollydid that for E. Faye as well!